He played in Joseph Horning’s Dollar Baby One For The Road as Booth. Wayne Shearer: Well, in a word, I’m an actor. I tend to play age-appropriate roles (read “old”) for either an angry, funny, cranky, or homeless old man. Most of the time I’m a supporting character, rather than a lead character. I consider myself a character actor. Wayne Shearer: I guess I really didn’t… until I became one. I spent most of my life as an engineer and high school teacher. Then one summer, a film company from New York was shooting a feature film in my hometown (a film called “Mount Joy”) and they needed extras. I had nothing else to do that summer, so I joined the production. Literally fell in love with it the first day on set. I continued doing extra work on weekends until I retired a few years later…then I started acting full-time. Wayne Shearer: Well, I’ve known Joseph Horning, the producer-director for a while. I answered a casting call on “Backstage” and went in for the audition. I loved the story, loved the character, and Joseph gave me the part. It was really that simple. Wayne Shearer: Oh, it’s the vampires…LOL. I mean, we’ve all read and perhaps seen the story of Salem’s Lot. Well, imagine going back to visit that área after 30 years. Humans have long since stayed away from there… that is, until this unsuspecting family gets off the highway and ends up stuck in the middle of it all. Who among us hasn’t wondered how we’d react to an incomprehensible, unbelievable situation that threatens us and our loved ones. How far would we go? How much would we sacrifice? Would we survive? And besides that, it’s Stephen King… I know I love Stephen King. I assume other fans of this story do too. Wayne Shearer: No, even though I knew the producer-director, I was still required to audition. But I really wanted this role. So, I studied hard for that audition. And I gave it my best. I guess my best was good enough, because he gave me the role. Wayne Shearer: It was really amazing. We worked long hours in some tough conditions, but Joseph kept cool and collected through it all. It really helps when the person in charge doesn’t get fazed and frazzeled when things go wrong… because on a movie set, things ALWAYS go wrong. The story takes place in one winter’s night…much of it outside. So we shot in northern Pennsylvania, at night, along an abandoned bridge and road, in the middle of winter. One night we shot until 3:30 AM and it was around 9 degrees (F, about -12 degrees Celsius). We were cold. We were shivering. There was snow on the ground. But we were stoked. It was that kind of set. Wayne Shearer: Much of our film is set in an abandoned “Salem’s Lot”, 30 years after the original story. One night we were shooting along an abandoned road and we really had no facilities available. So the producer had a production assistant with a car available to run us up to a store with a restroom when we needed. That night we had several extras as vampires and while we were all warned to make the trip BEFORE we got in makeup and costume, one young lady tried to wait but had to go to the restroom after all her vampire makeup was on. Well, someone noticed and called the pólice, thinking maybe she was hurt or had been assaulted. Pretty soon we had a couple of pólice cars on our set to check out what was going on. They actually were very nice and seemed more interested in watching us work. Not many films are shot in that área, so they hung around for a while. But it was a little disconcerting when it’s after midnight and the pólice show up in the middle of a field. LOL. Wayne Shearer: Actually, I do stay in touch with Joseph, with our makeup artists, with Chris Wagler, one of our producers, and Eric Slodysko, one of the lead actors. I see others from the production from time to time, too. And we have some upcoming social events and promotional events that will get many of us back together. 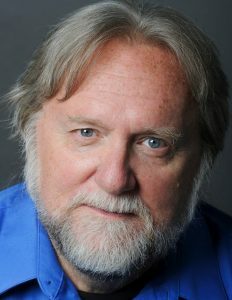 Wayne Shearer: I currently am playing the “Dark Priest” in a horror feature called “Arisen 2: Revelations” and next month return to filming a feature film called “Pharaoh’s Bread” where I am the lead. I also have several other projects starting in July and August, including “Heavenly Brunch”, a faith-based film from a California production company. I’m very fortunate to be working several projects and will be busy for most of the summer. Wayne Shearer: I love Stephen King. I’ve read most everything he has written and as I told Joseph when he gave me the role, I was honored to be performing Mr. King’s own words. Life just doesn’t get much better than that. Wayne Shearer: Perhaps the most surprising thing is that I started acting later in life. Most of my life I was a computer engineer and then a high school math teacher. After retiring from teaching I took up acting. My third career… and my most satisfying. Wayne Shearer: First I want to thank ALL fans of film, especially those who take the time to watch indie film. Without you, our work would all be in vain. We do this for YOU. Yes, we enjoy what we do, but most of all we love to see the fans of our films enjoy our efforts. You make it all worth while. I hope all the fans get to see our film. Wayne Shearer: Only that I want to thank you and the Dollar Baby Film Festival for giving me this opportunity. I hope you get to see our film and I hope you enjoy it. And, of course, a big “Thank You” to Stephen King… for the stories… for the Dollar Baby Project… and for giving us a life time of fun and fear… he’s truly an artist.